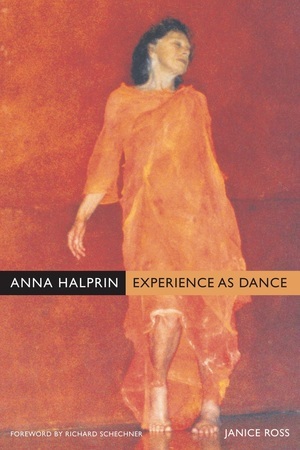 Anna Halprin pioneered what became known as “postmodern dance,” creating work that was key to unlocking the door to experimentation in theater, music, Happenings, and performance art. This first comprehensive biography examines Halprin’s fascinating life in the context of American culture—in particular popular culture and the West Coast as a center of artistic experimentation from the Beats through the Hippies. Janice Ross chronicles Halprin’s long, remarkable career, beginning with the dancer’s grandparents—who escaped Eastern European pogroms and came to the United States at the turn of the last century—and ending with the present day, when Halprin continues to defy boundaries between artistic genres as well as between participants and observers. As she follows Halprin’s development from youth into old age, Ross describes in engrossing detail the artist’s roles as dancer, choreographer, performance theorist, community leader, cancer survivor, healer, wife, and mother. Halprin’s friends and acquaintances include a number of artists who charted the course of postmodern performance. Among her students were Trisha Brown, Simone Forti, Yvonne Rainer, Meredith Monk, and Robert Morris. Ross brings to life the vital sense of experimentation during this period. She also illuminates the work of Anna Halprin’s husband, the important landscape architect Lawrence Halprin, in the context of his wife’s environmental dance work. Using Halprin’s dance practices and works as her focus, Ross explores the effects of danced stories on the bodies who perform them. The result is an innovative consideration of how experience becomes performance as well as a masterful account of an extraordinary life. Janice Ross is Associate Professor of Drama at Stanford University and the author of Moving Lessons: Margaret H'Doubler and the Beginning of Dance in American Education. Richard Schechner is University Professor and one of the founders of the Performance Studies Department at New York University.